The National Gallery can be transformed to accommodate everything from a grand gala dinner to an intimate supper party; a stylish late-night cocktail party to an annual conference or away-day. 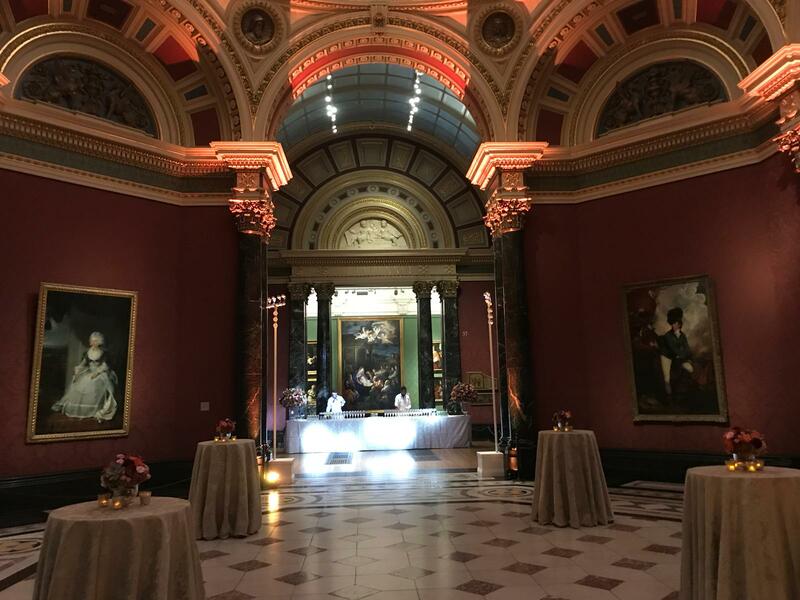 Picture yourself entertaining next to the world’s greatest artworks, in a variety of event spaces, ranging from elegant picture galleries to modern conference facilities, all available for you to hire throughout the year. Private tours may also be arranged at certain times.